Materials Matter. The materials that you choose for the space should be high quality. Not only will they look better, but they will also be durable. Consider tiling the walls from floor to ceiling for a high end look. You can’t go wrong with a fresh, classic subway tile. Marble is another great option for a luxury look, and it can be used on floors, in the shower, and the counter top for the vanity. Don’t Overlook the Details. Small touches can add so much to the bathroom, so don’t overlook the details. Keep the counter top clean and clutter free for a sleek look. Elements like the lighting and hardware can instantly enhance the design. Bring the design together with a few select decorative touches, such as candles and artwork. Choose high end faucets for the sink and bathtub, and install a luxury shower head with multiple settings for that spa-like feel. Install the Elements You Want. Before you get started on remodeling or revamping the bathroom, jot down the elements that you absolutely must have to create your dream space. Take measurements to see where they will fit in, and then design the layout that works best for the space that you have. If you love to relax in a warm bath, choose an elegant soaking tub. A claw footed tub offers a classic, high end look. A jetted tub is ideal if you desire a relaxing retreat where you can unwind. 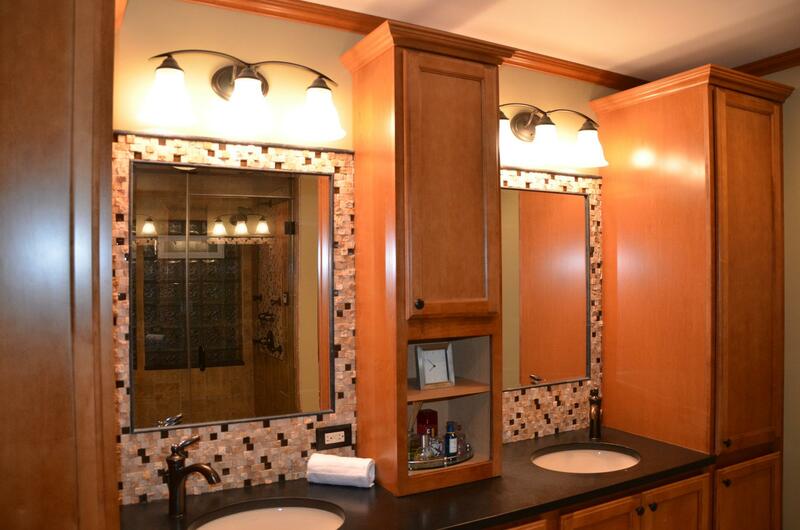 For the master bathroom, opt for a double vanity to give you plenty of space. You won’t regret putting in those must-have features, but you’ll probably regret leaving them out once it’s all finished. Your bathroom is one of the most important places in your home, second only to the kitchen. With the right elements, you can achieve a beautiful, luxury look. By following these simple bathroom tips, you can transform your space into an upscale spa like atmosphere.